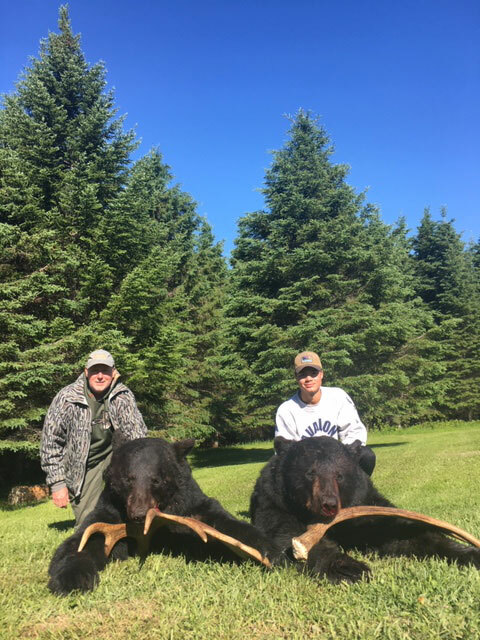 Nictau Lodge is one of the premier black bear hunting locations on the east coast of Canada! We lease over 350,000 acres of land and run over 70 different bait site locations all behind a locked gate system which limits access to those who carry access passes! Don't get this confused with high fence as there are none. This land is owned by lumber companies which lease land to use for the purpose of hunting. IMPORTANT - If you are a Non-Resdient living outside of Canada and you are planning to hunt with a rifle, be sure to complete this form prior to crossing into Canada. Traditional Bows, Coumpound Bows, Crossbows, and Muzzle Loaders are exempt. Canada's East is known for their high concentration of moose, and the Nictau/Riley Brook New Brunswick area is no different. Our moose population is very healthy and growing, this is due to wildlife management implemented by the province of New Brunswick and supported by Outfitters. 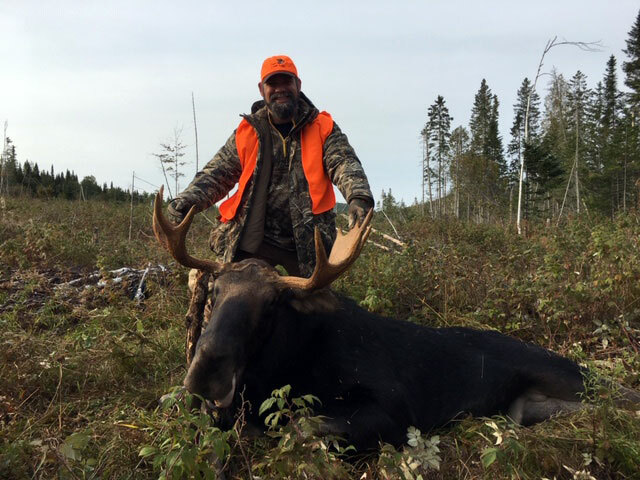 Over the past 3 years, Nictau Lodge clients have been successful in 9 out of 10 moose hunts which leaves us with a 90% success rate. We use trail cameras and scouting techniques to track and monitor moose movement prior to the hunt, this gives the hunter an advantage for a successfully harvest. We hunt pre scouted areas and call and spot and stalk. Non-Residents - Apply on-line using the link below. Applications accepted between February 8 and April 30. If you are successful in the Non-Resident draw, you must purchase your New Brunswick Non-Resident Moose License between May 16 and June 10. IMPORTANT - If you are a Non-Resident living outside of Canada and you are planning to hunt with a rifle, be sure to complete this form prior to crossing into Canada. Traditional Bows, Compound Bows, Crossbows, and Muzzle Loaders are exempt. 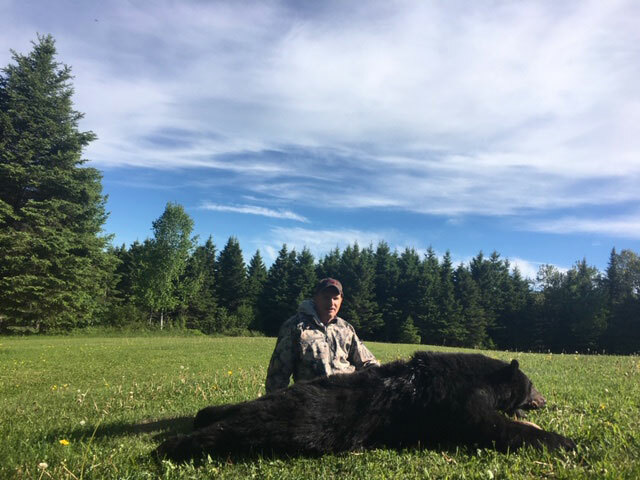 We are one of the premier black bear and moose hunting locations on the east coast of Canada. At Nictau Lodge we've made our mark by offering 5 star bear hunts with trophy bears and over 70 bait sites to choose from. With over 350,000 acres of land, Nictau Lodge provides the best avenue for hunting activity.